The Advocacy Center for Employment Law was founded in 1994 by Steven Paul Cohn, who serves as senior litigation	counsel. 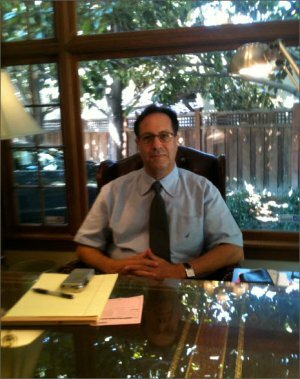 Mr. Cohn has been practicing law since 1980 in the Silicon Valley,	with offices in San Jose continuing to date. The firm continues to specialize in the areas of labor and employment law,	with an emphasis on employment harassment and discrimination litigation. The practice encompasses civil rights violations, sexual harassment, age,	gender, disability and/or medical condition discrimination, rights of	privacy claims, trade secrets and unfair business practices. Mr. Cohn was a 1992 California State Bar Wiley W. Manual Award recipient	for recognition of outstanding provision of pro bono legal services for	the public good. He has been a repeat Legal Commentator for the NBC nightly	news, offering legal commentary on current events. His cases have been	covered by legal periodicals, as well as “Hard Copy”, where	he was interviewed in a ground breaking civil rights case. Mr. Cohn has also served as a County of Santa Clara Delegate to the California	State Bar and is an inductee into Who’s Who in the World, Who’s	Who in California, Who’s Who in American Law and British Sterling’s	Who’s Who. Mr. Cohn has most recently been recognized as one of the top labor and	employment attorneys in the Silicon Valley by his peers and published	by San Jose Magazine in their feature, “Best of the Best: The Attorneys	of Silicon Valley”, annually. Mr. Cohn has served as a University of Santa Clara law professor, a Santa	Clara County Superior Court Judge Pro Tem, a Santa Clara County and American	Arbitration Association Arbitrator and is an active participant in mediation	services throughout the San Francisco Bay Area. Mr. Cohn has authored publications in the field of employment law and litigation,	has been a continuing education presenter and author, and has been invited	as a guest speaker at law symposiums in the San Francisco Bay Area. The	firm litigates in both State and Federal courts and has been involved	in landmark litigation. Mr. Cohn welcomes your inquiries and maintains	an active interest in the furtherance of employment law.